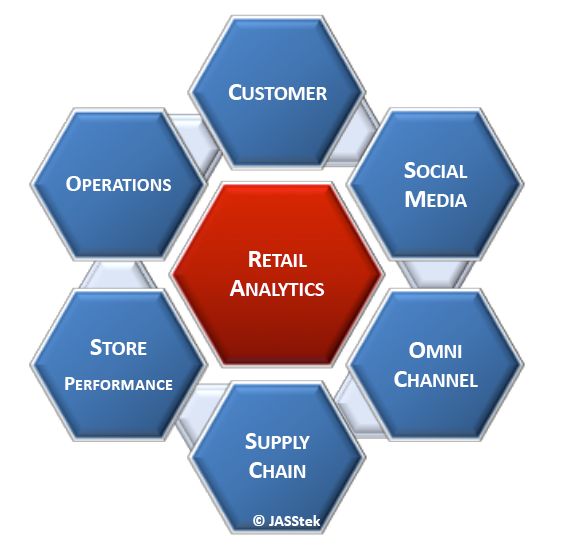 JASStek’s retail analytics solution is designed to optimize customer experience, supply chain and store operations towards maximizing revenue. JASStek has a dedicated analytic framework for retail line of business, with primary focus on Customer journey maps. Contact today, for conversation with Retail Business thought leader, to help you reinvent your business.